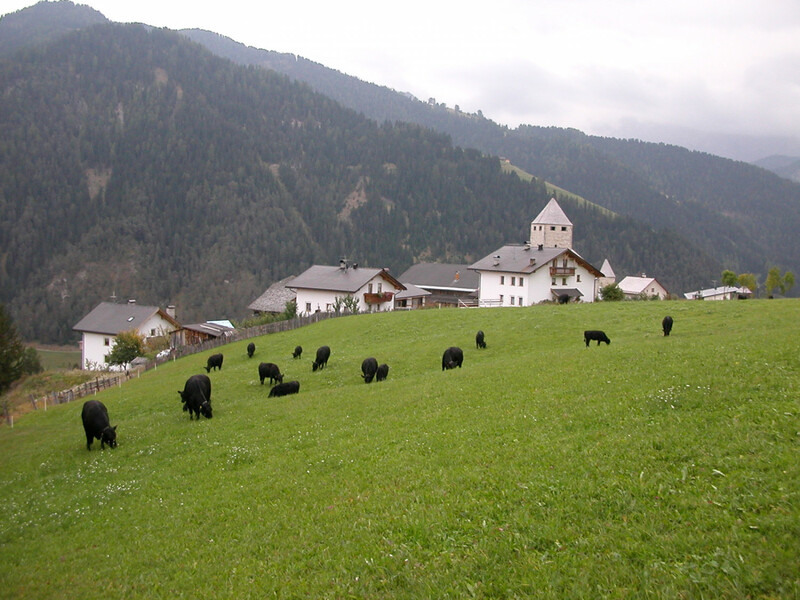 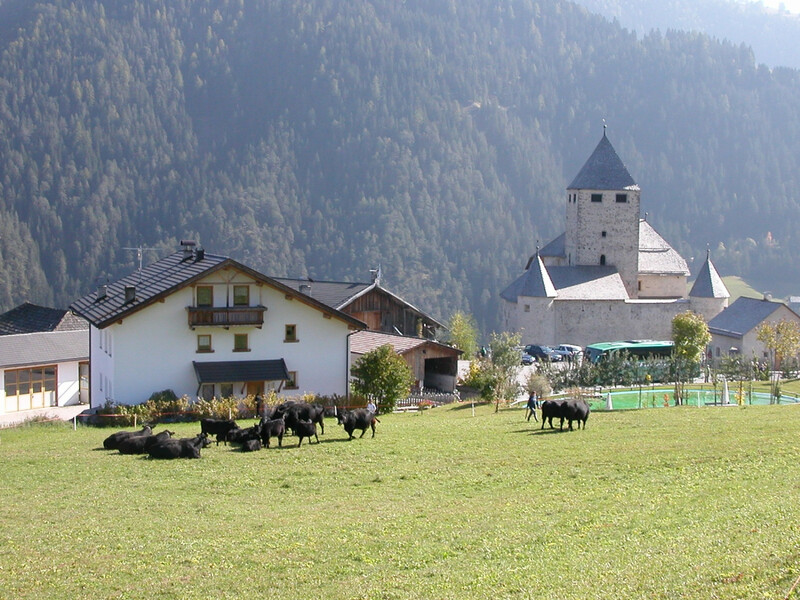 Lüch de Tor is an entailed farmstead (indivisible agricultural property), composed of 37 hectares of woodland, 12 hectares of grassland and 8 hectares of mountain pastures. 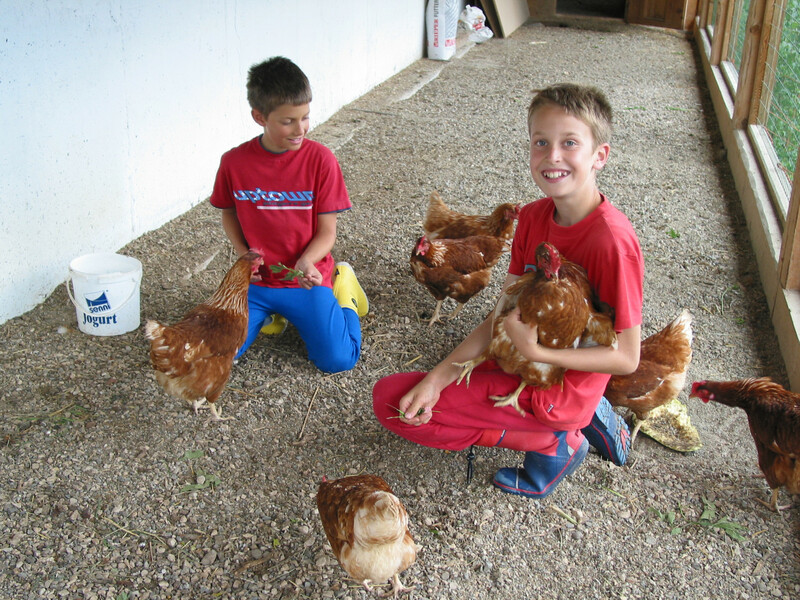 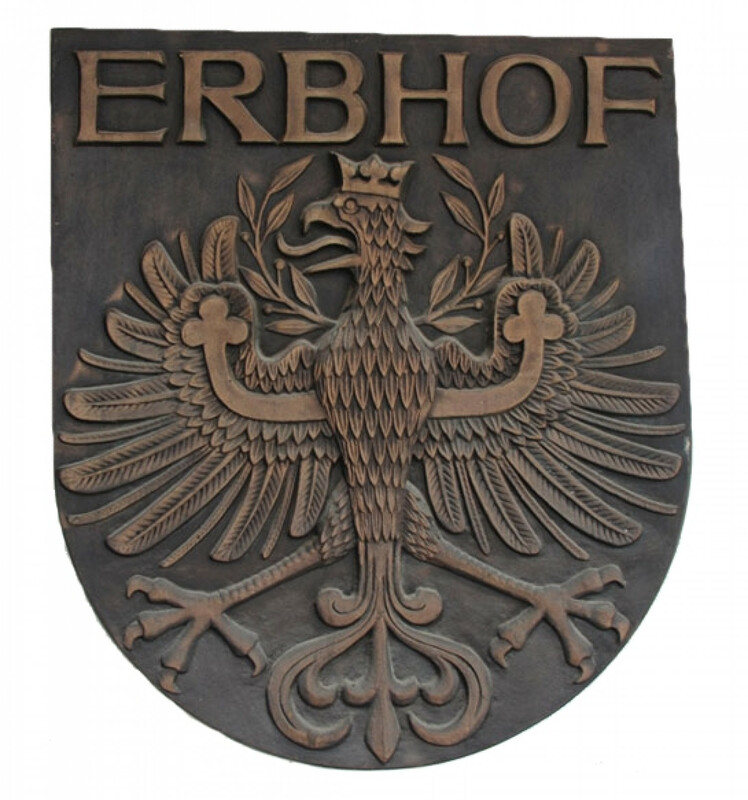 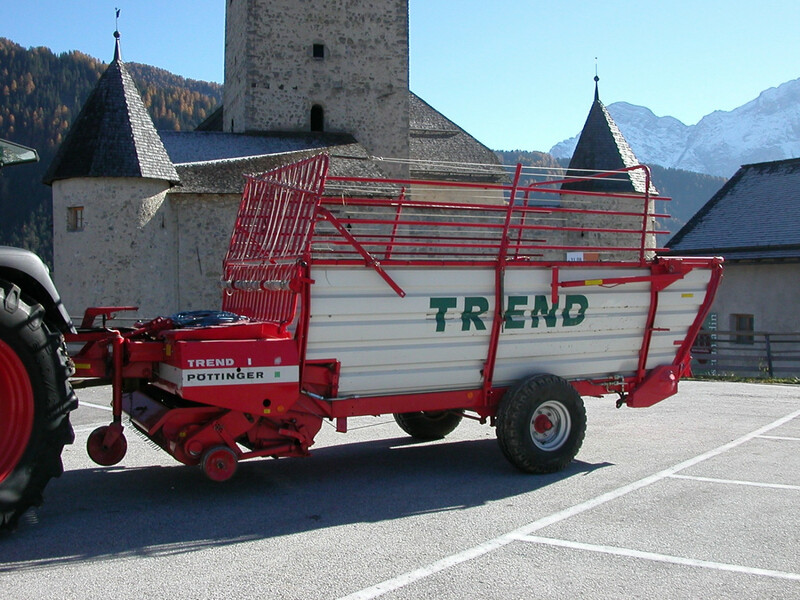 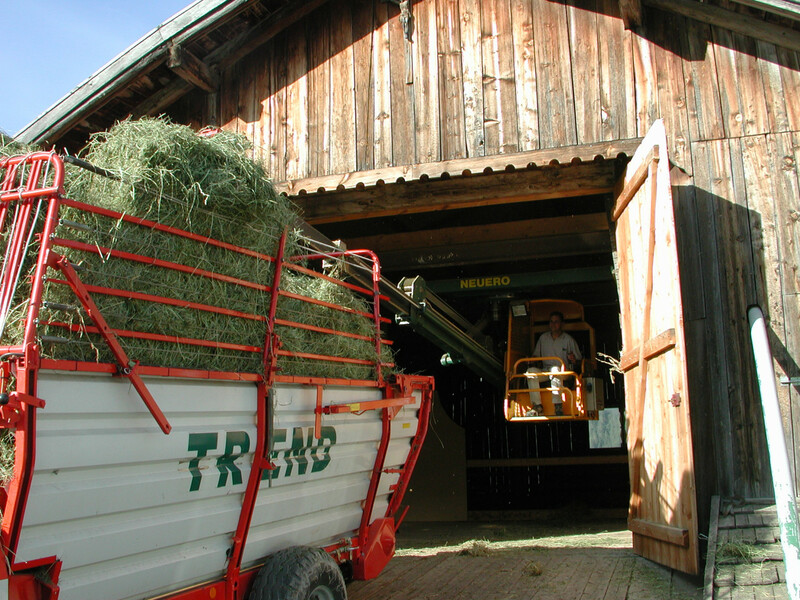 Officially recognized as the patrimony of the Trebo family, Lüch de Tor has passed on the ancient farming traditions from one generation to another since 1803. 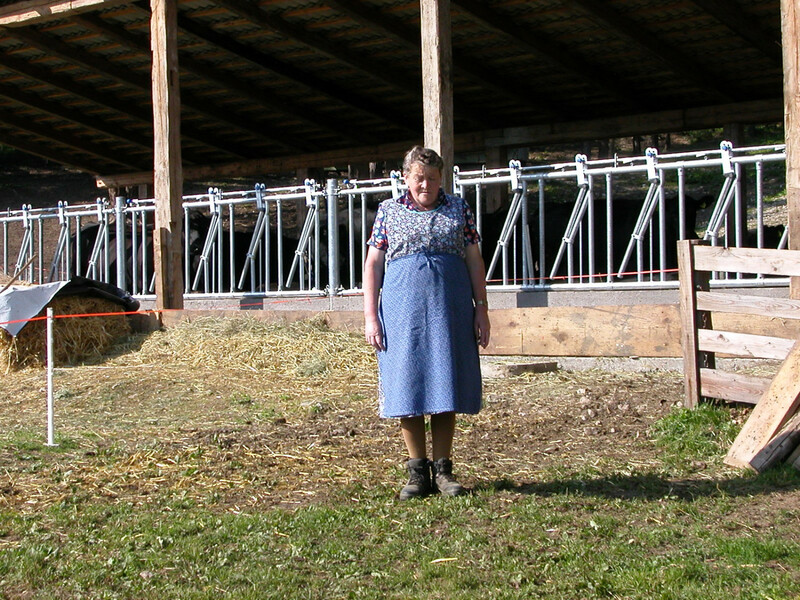 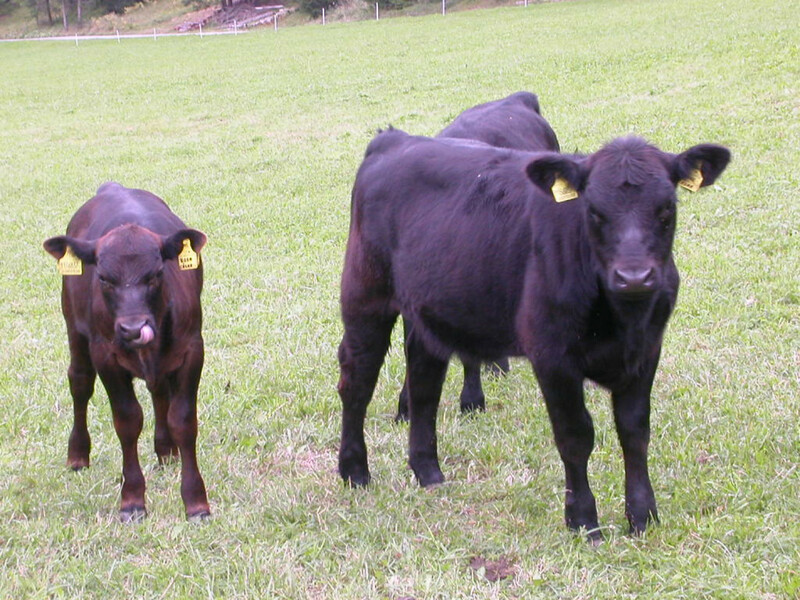 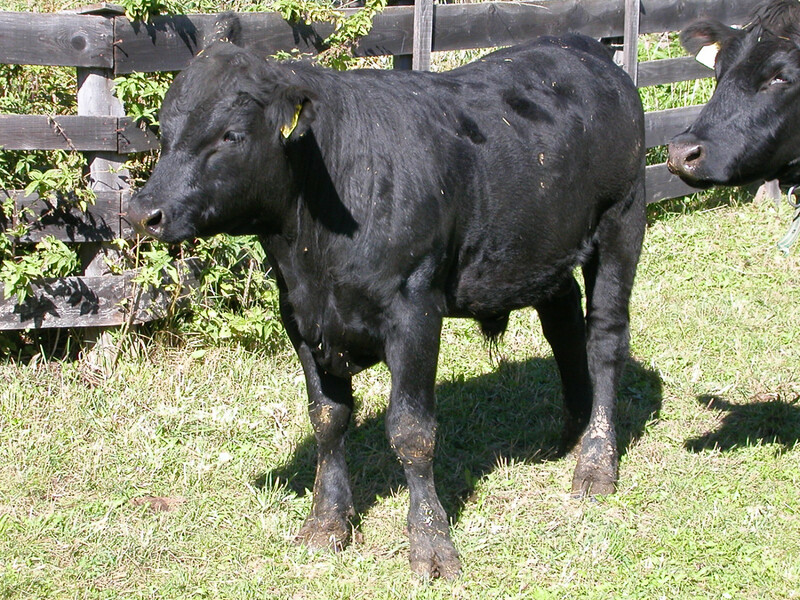 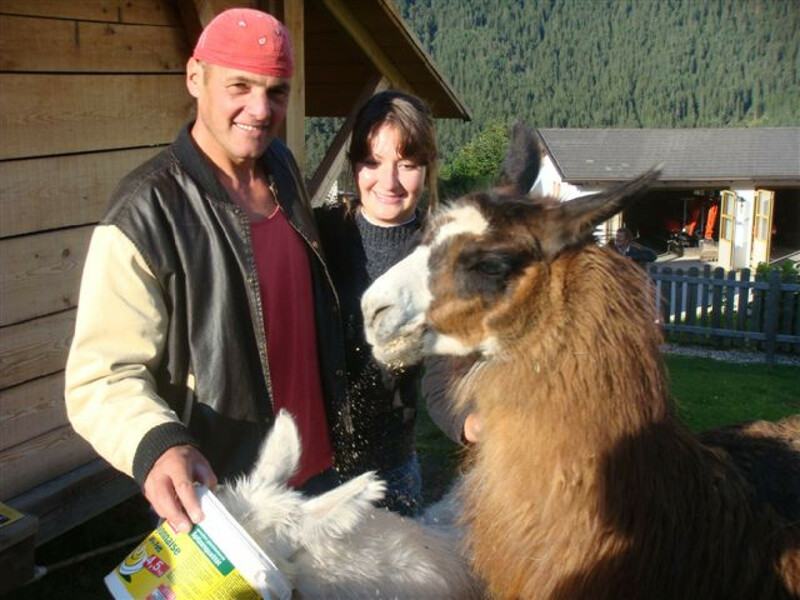 Walter and Gabi have been managing the farm since 1997 and dedicate themselves to raising organic Angus beef cattle. 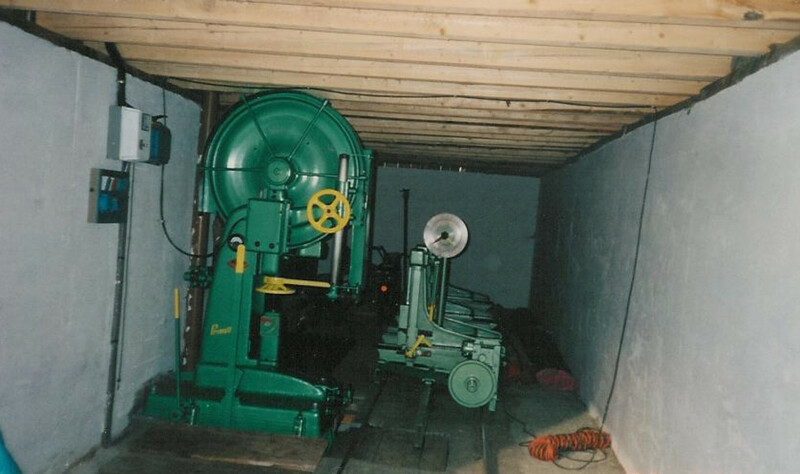 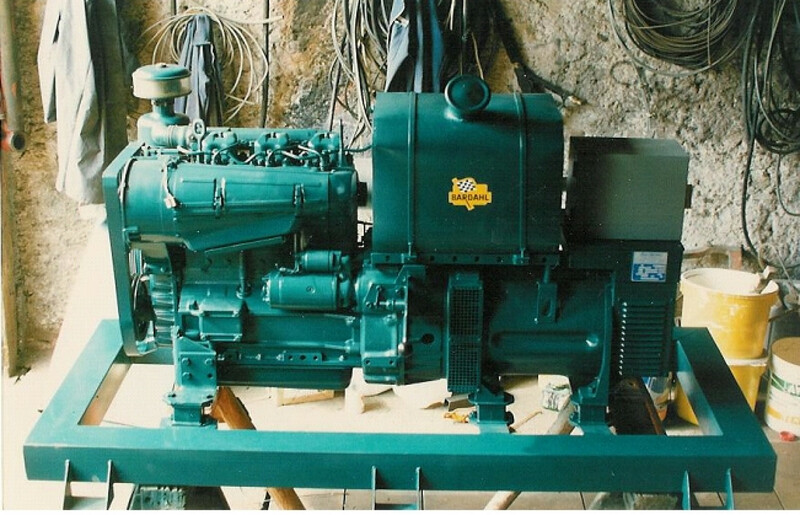 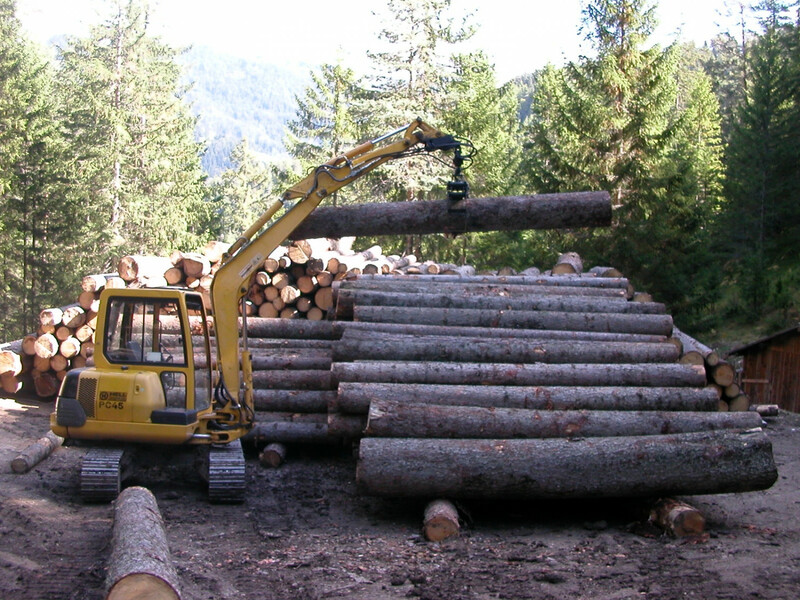 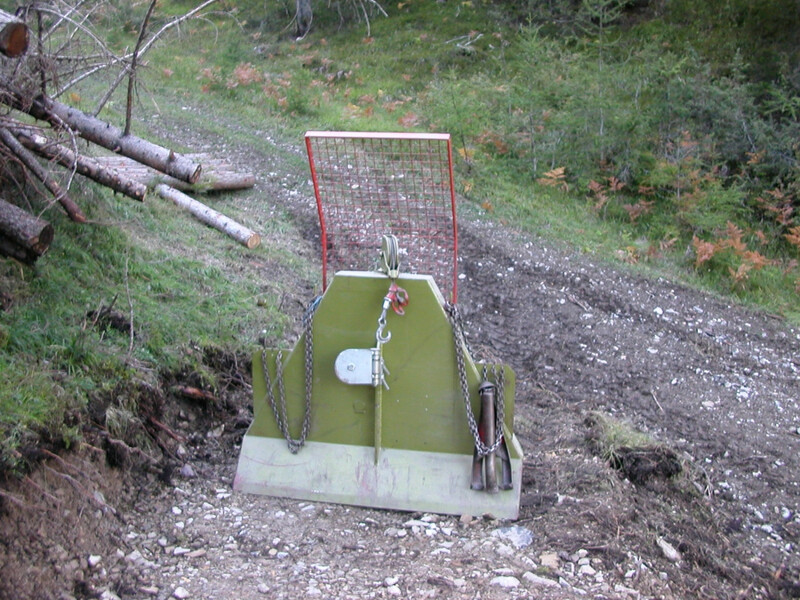 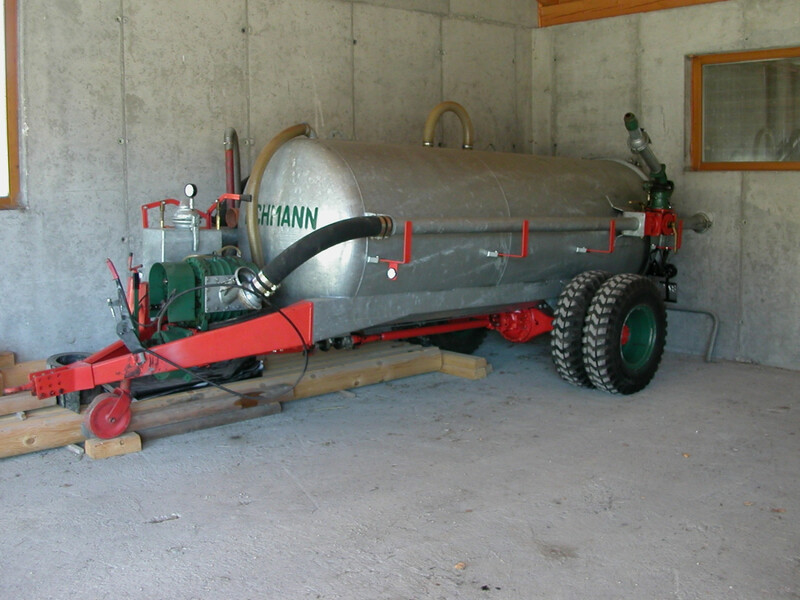 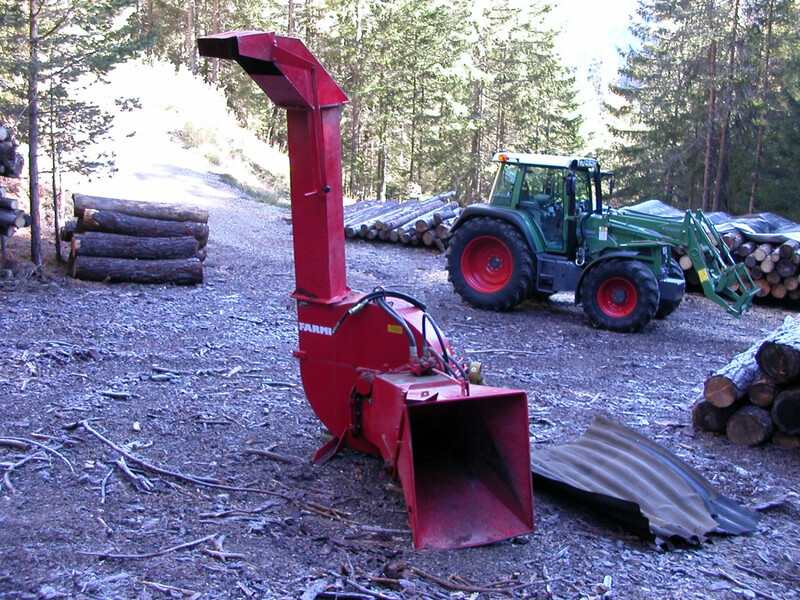 The modern machinery facilitates significantly their everyday routine. 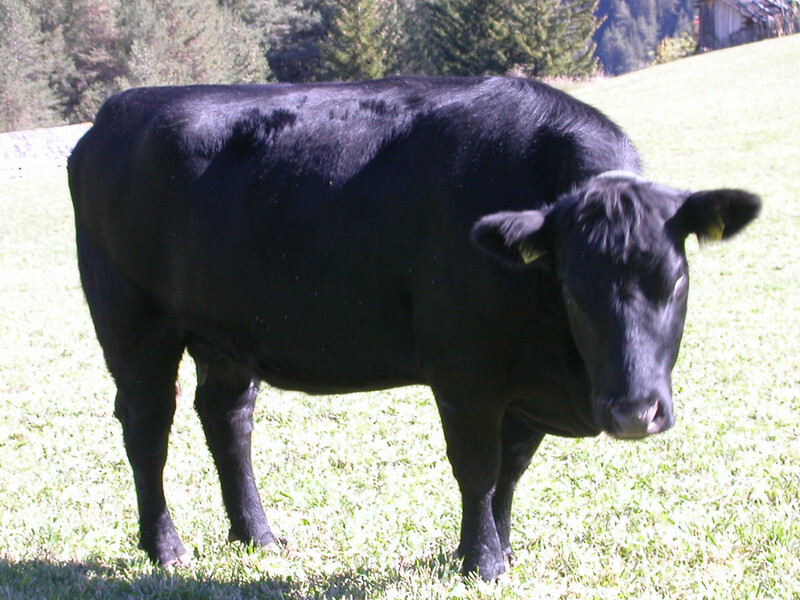 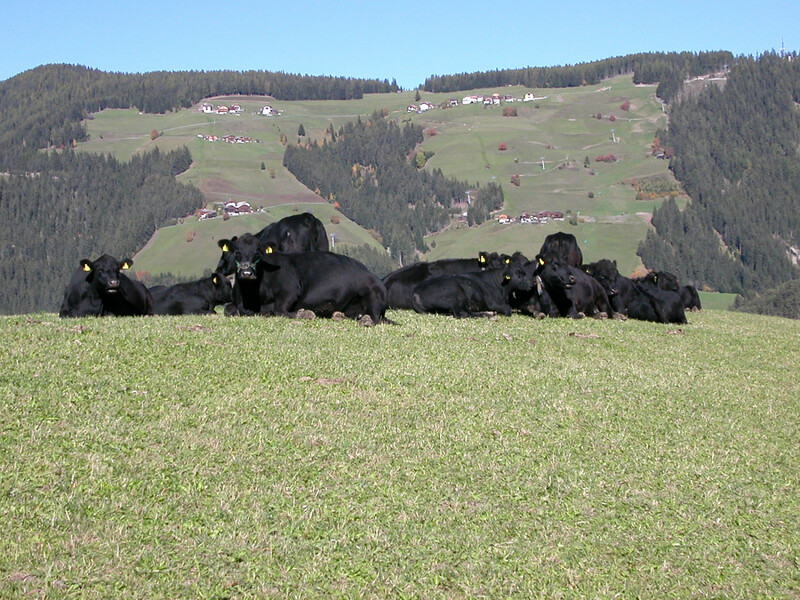 Originating in Scotland, Aberdeen Angus is one of the most appreciated cattle breeds due to the highest meet quality and its fine taste. 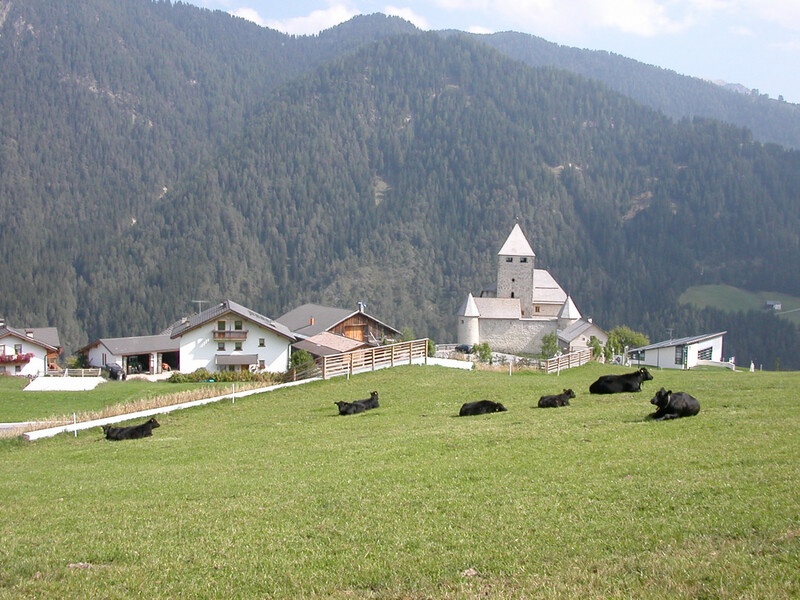 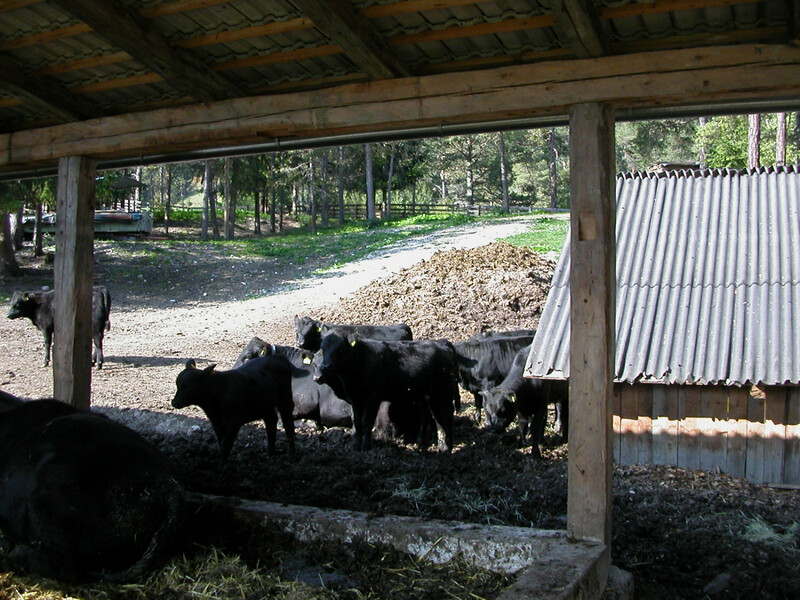 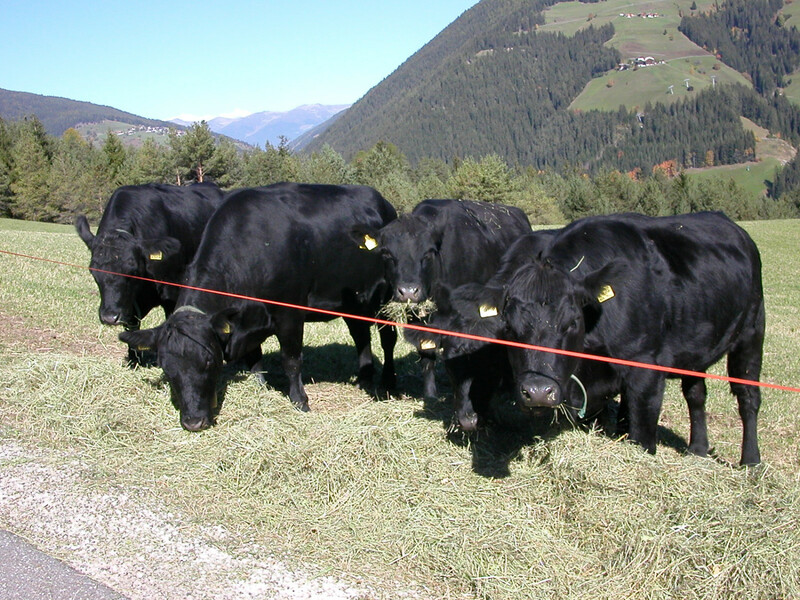 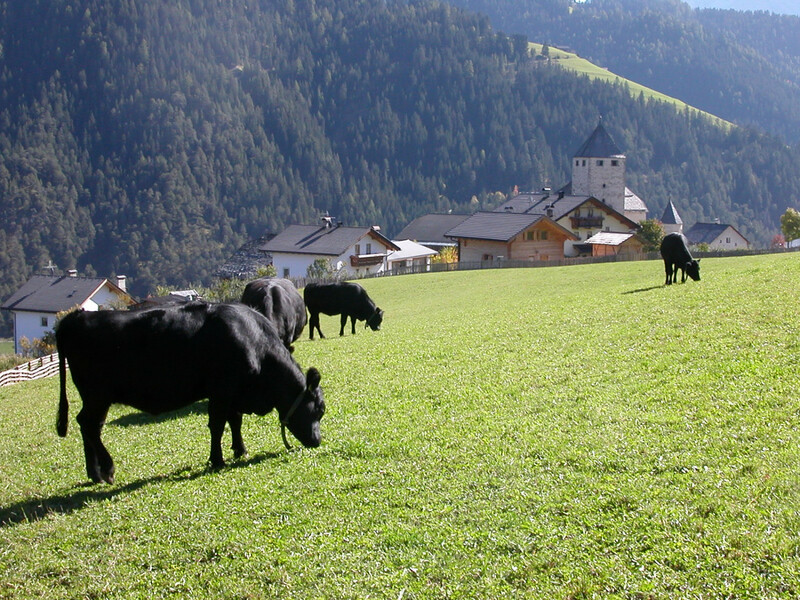 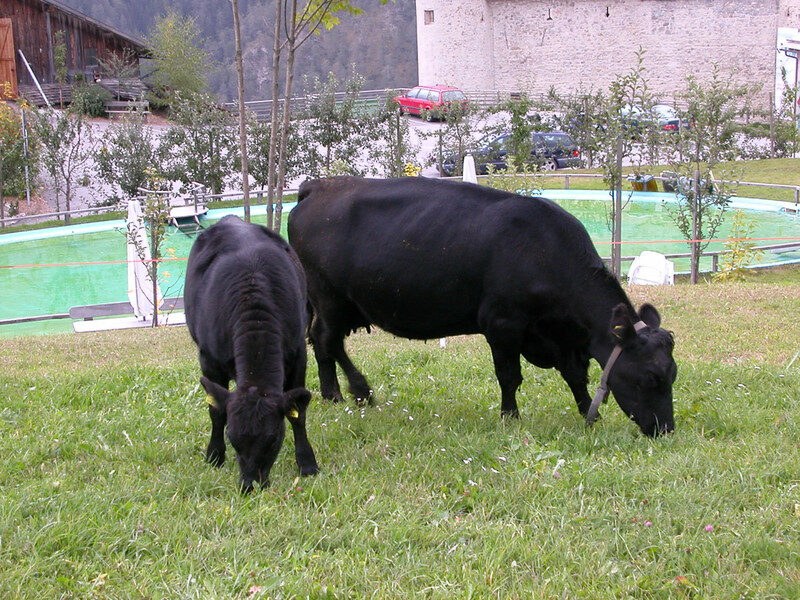 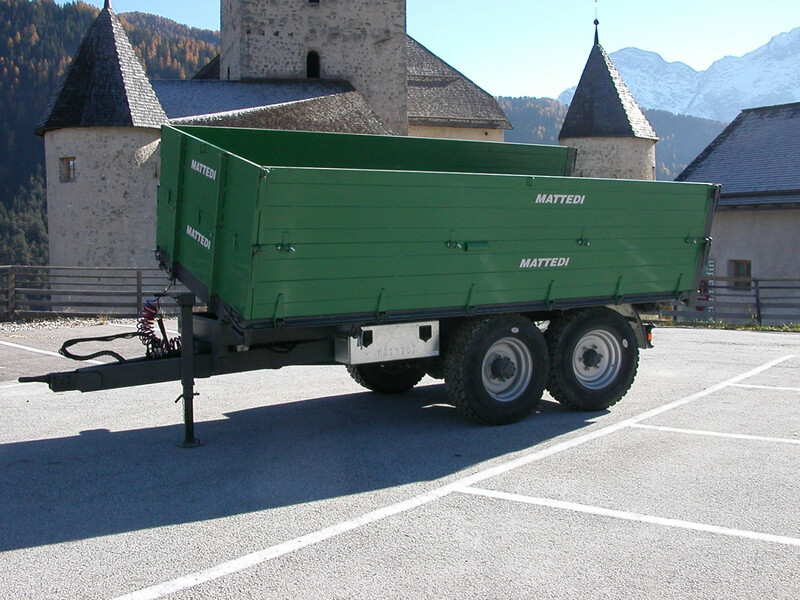 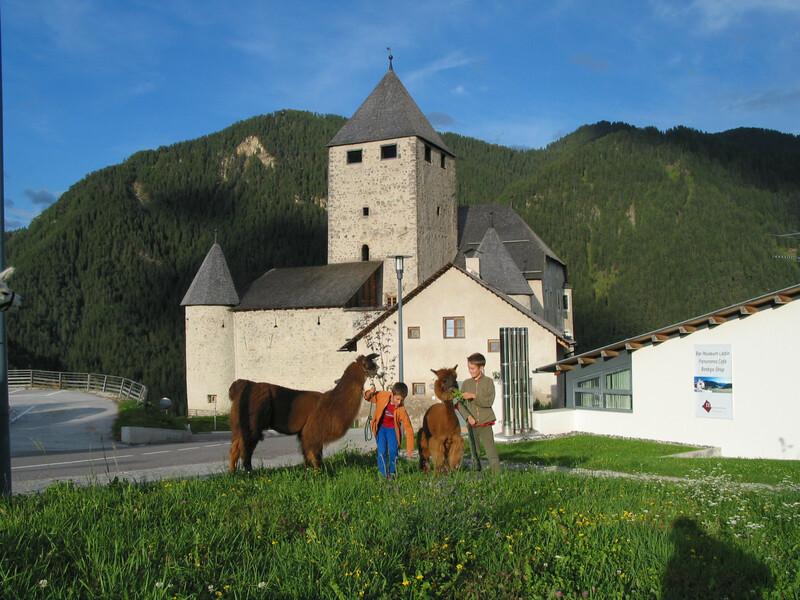 Its value is enhanced by the organic farming, practiced at Lüch de Tor, where the cattle graze mostly in the open air and are fed only on natural forages. 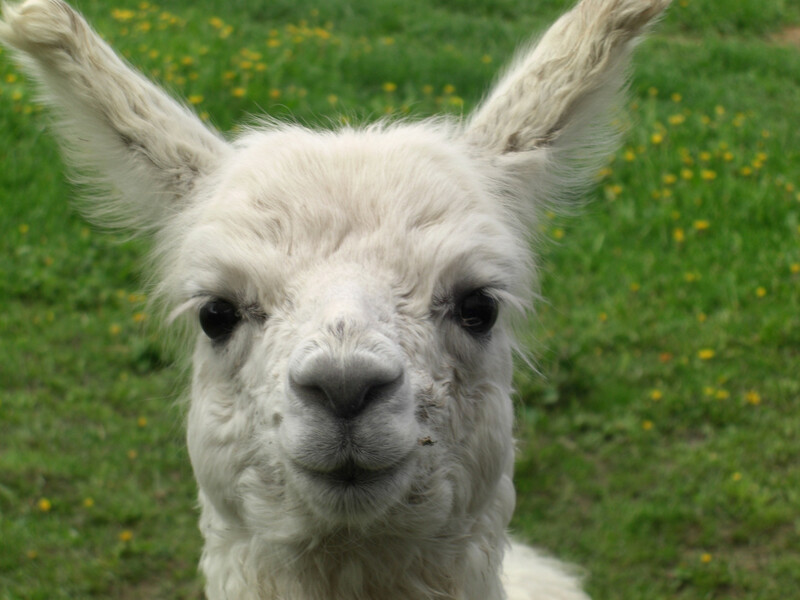 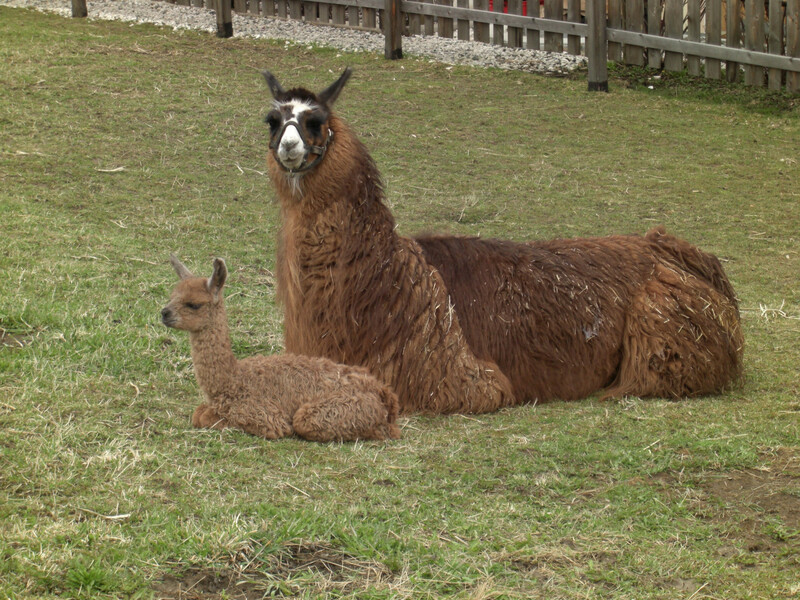 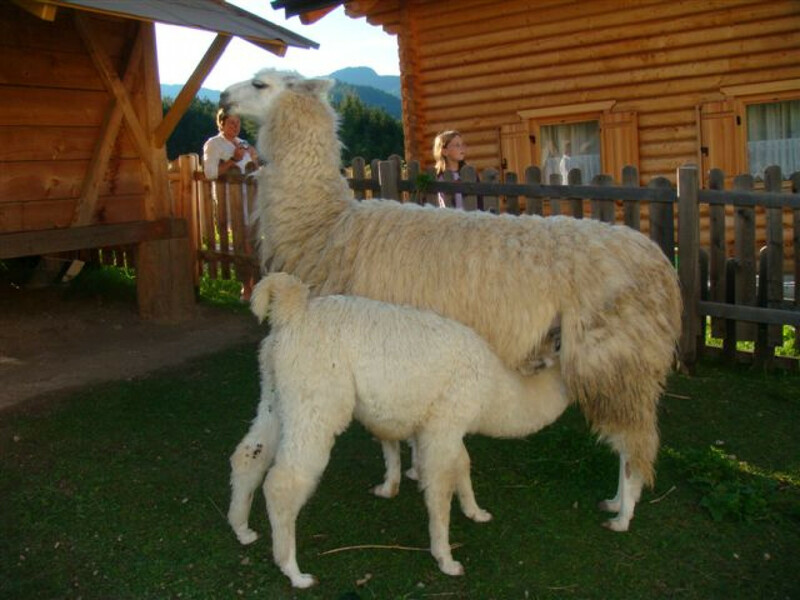 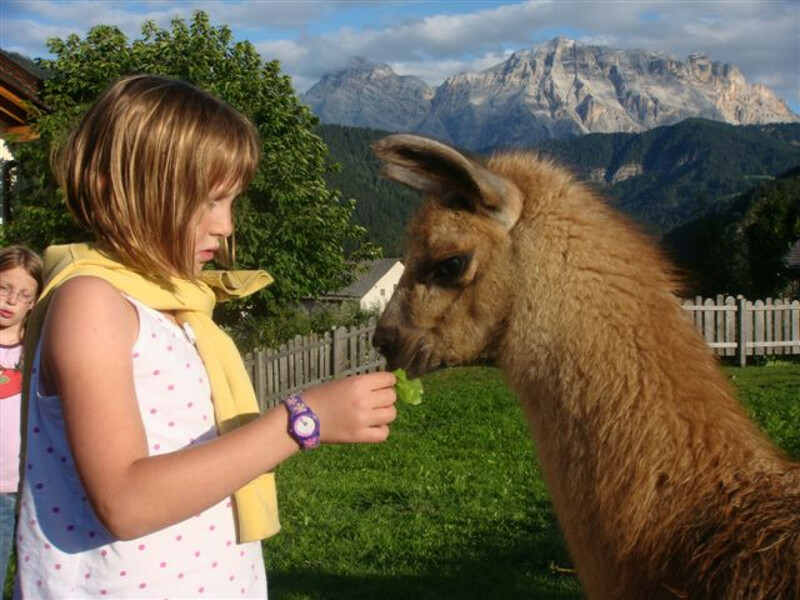 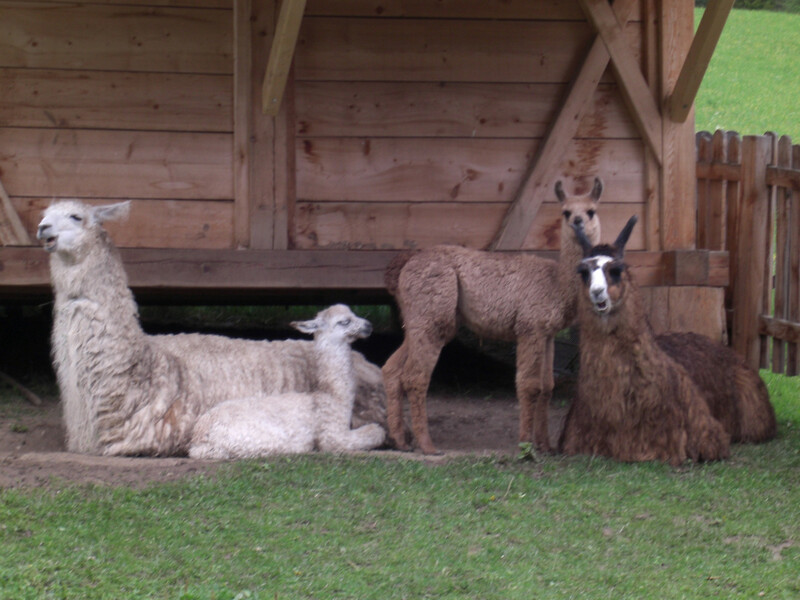 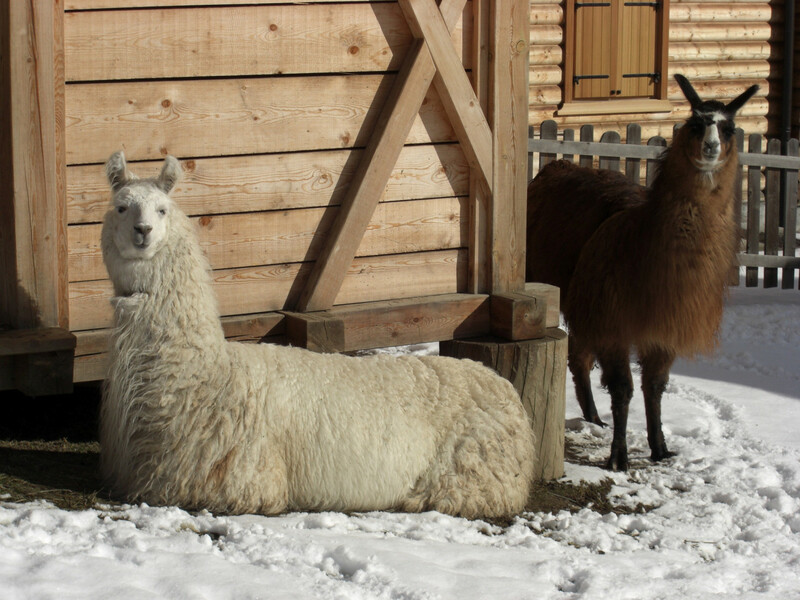 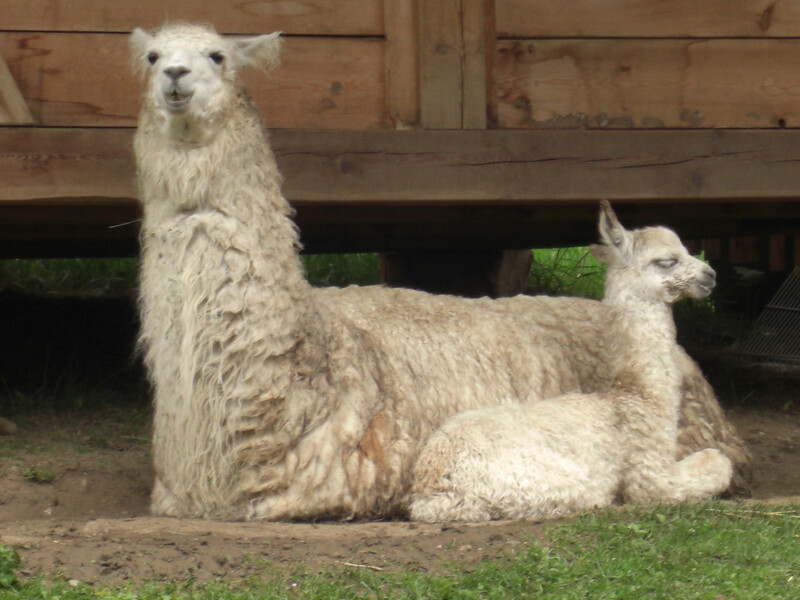 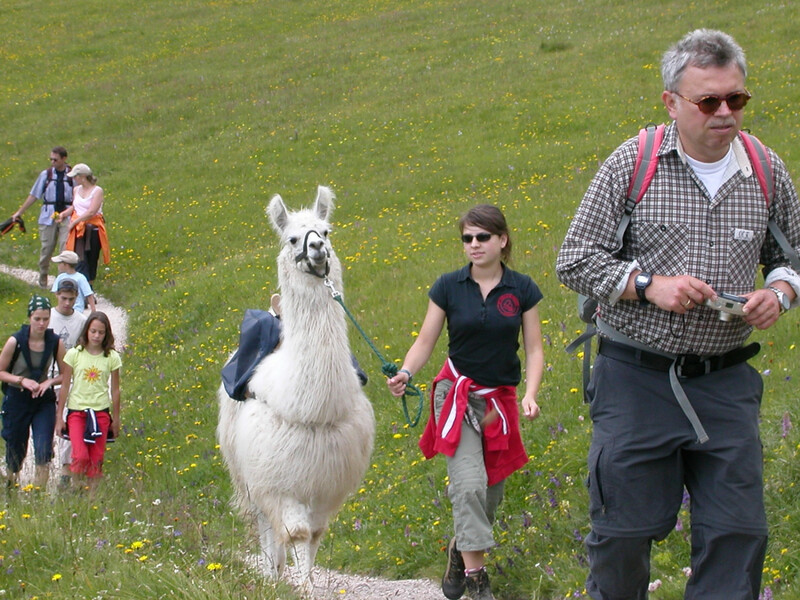 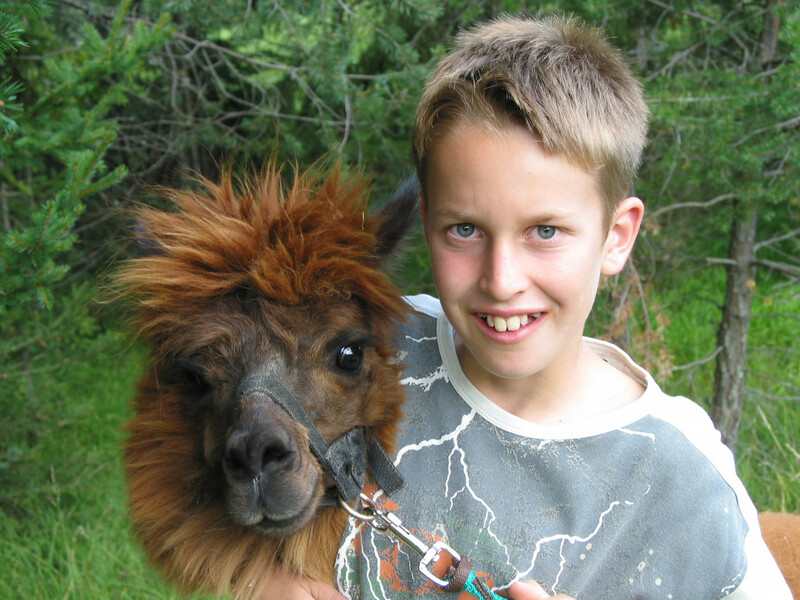 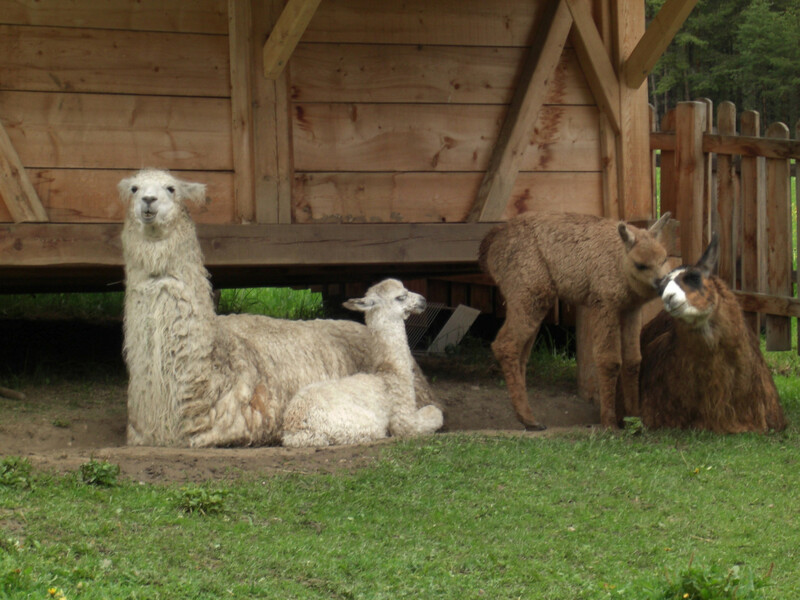 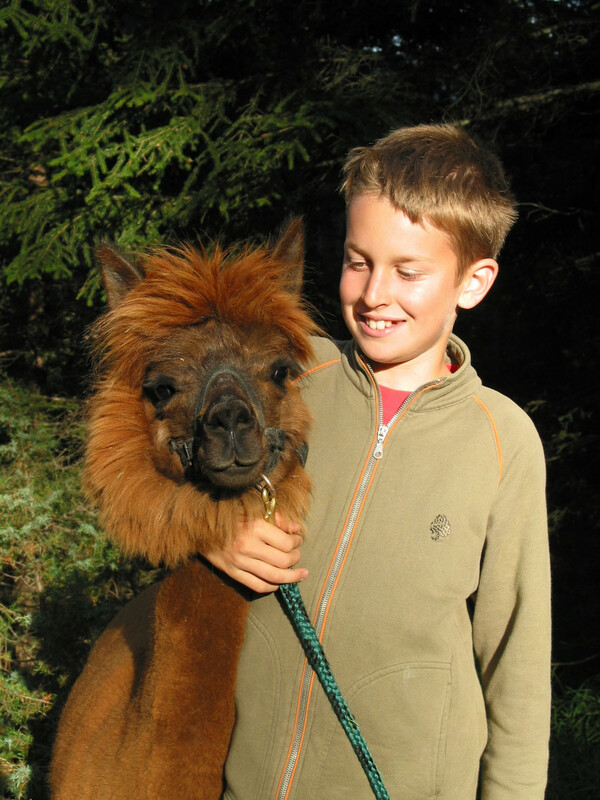 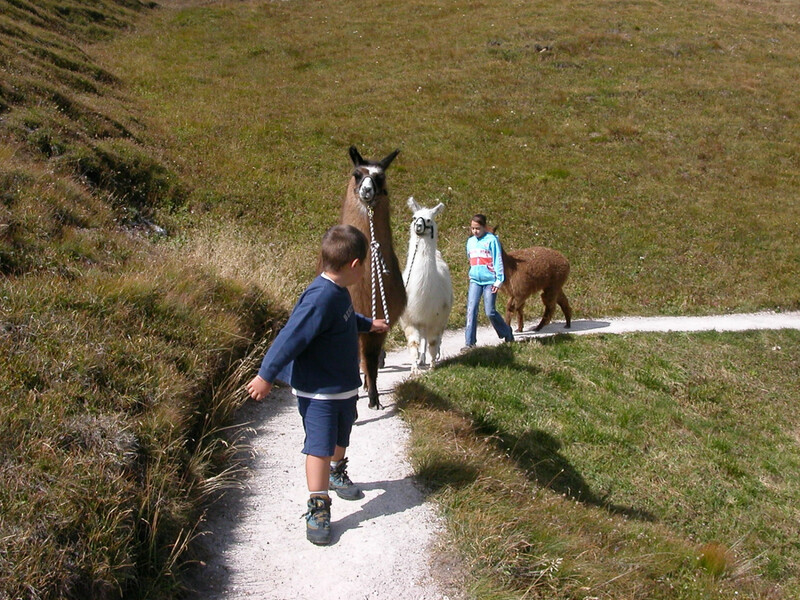 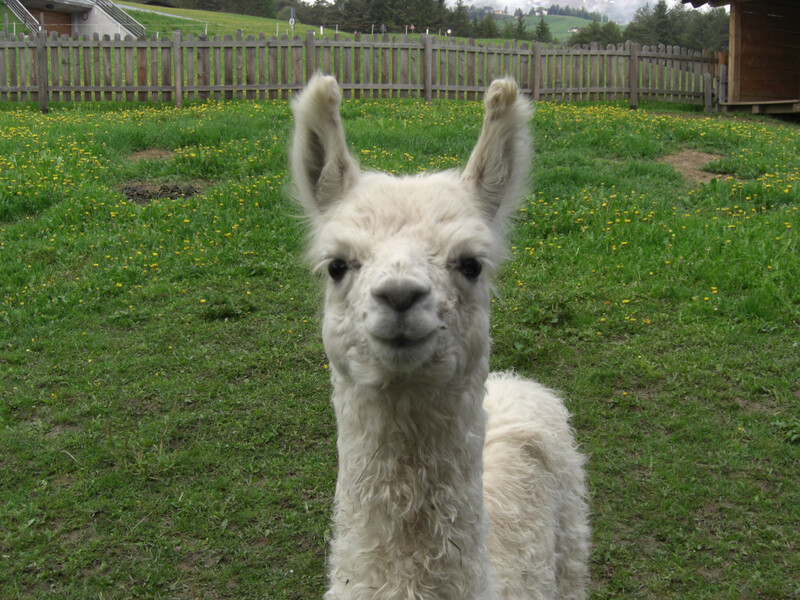 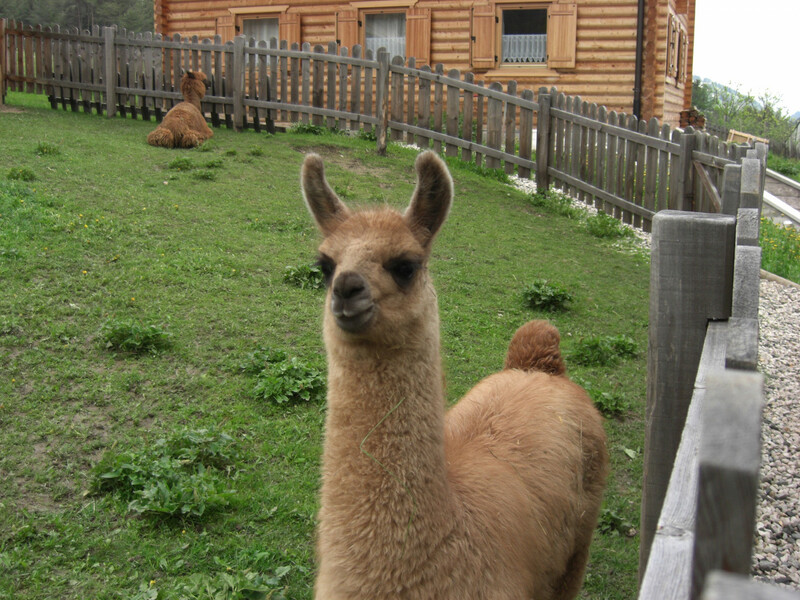 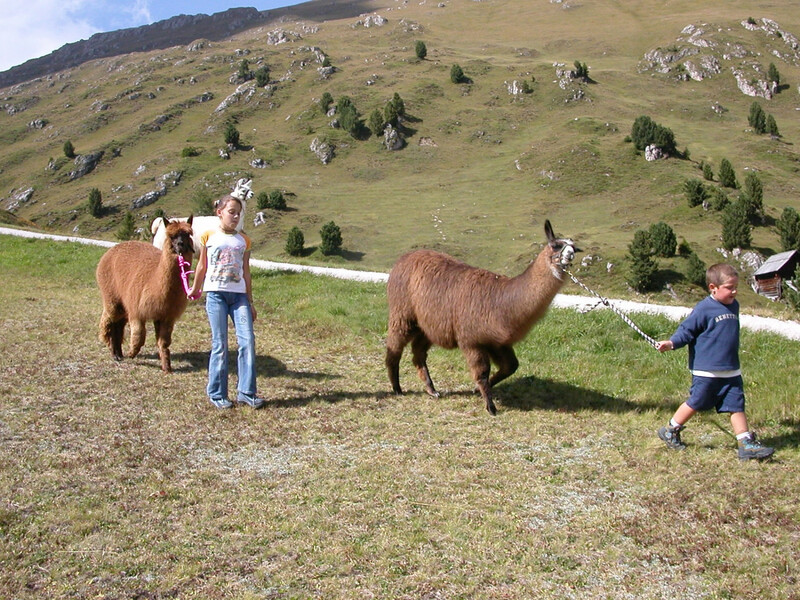 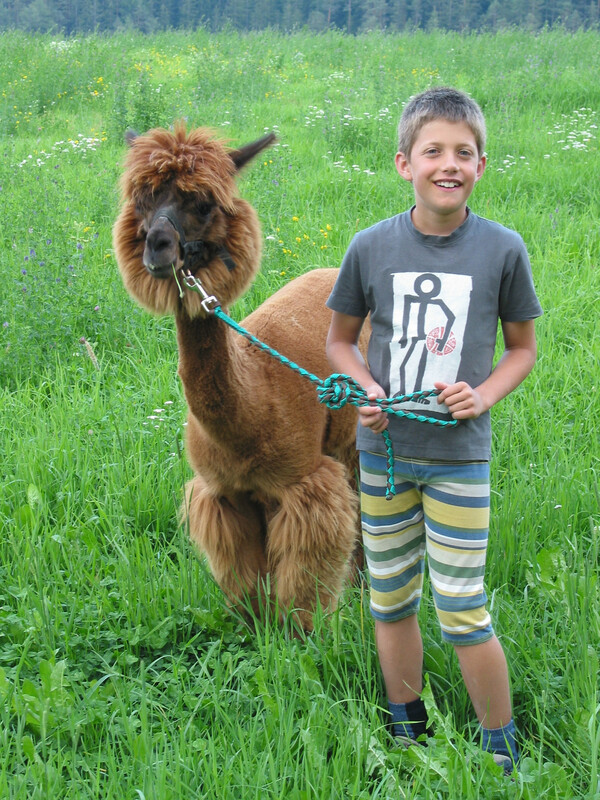 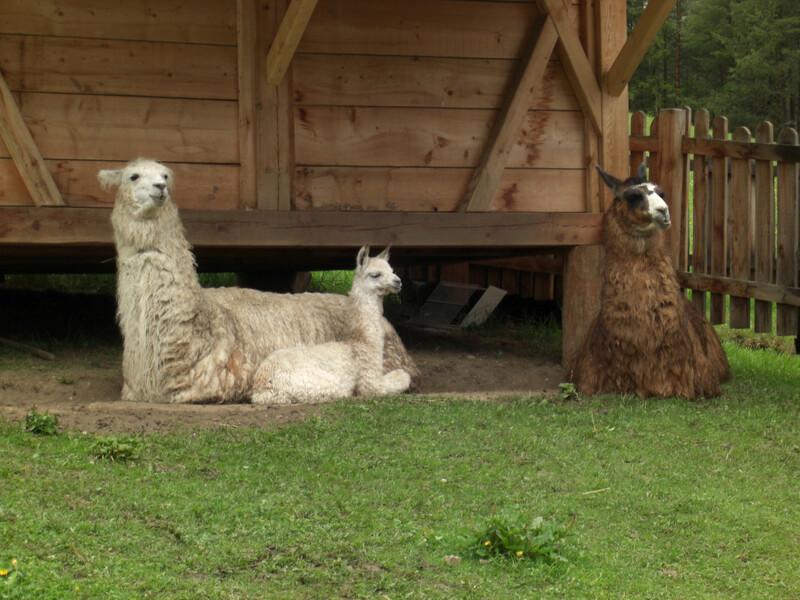 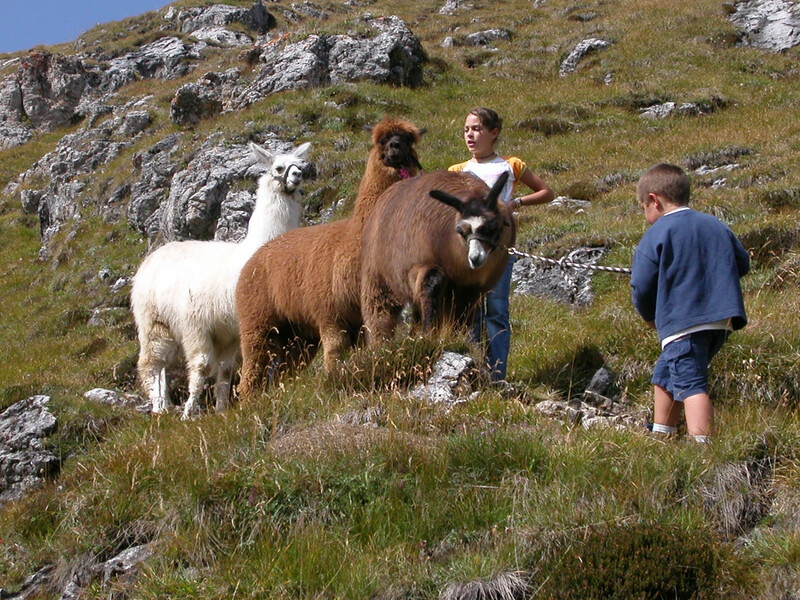 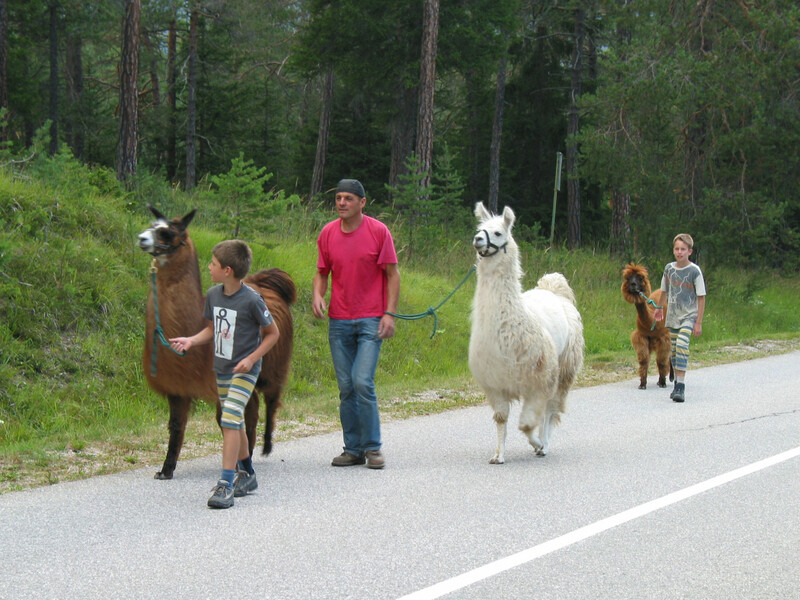 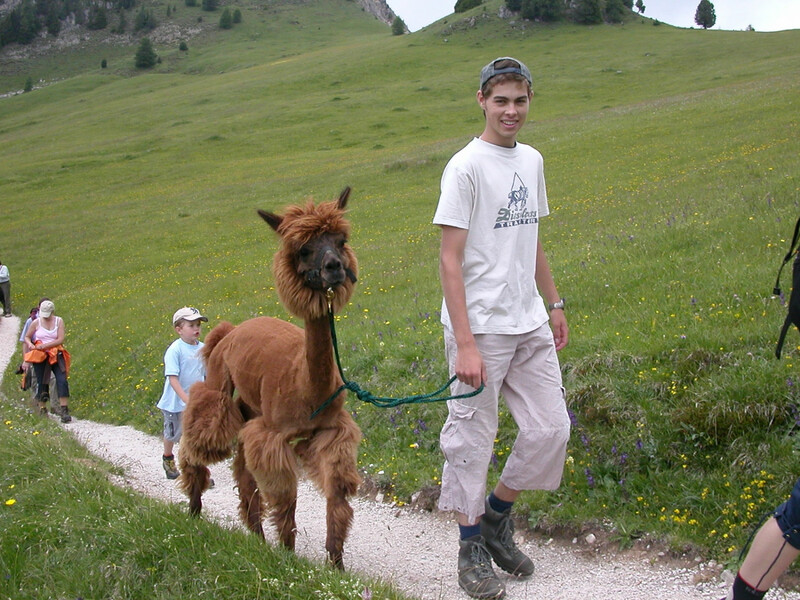 Contacts with animals aren’t just a joy for children, but an approved remedy against stress and fatigue, especially when the animals are as cute and friendly as our llamas and alpacas. 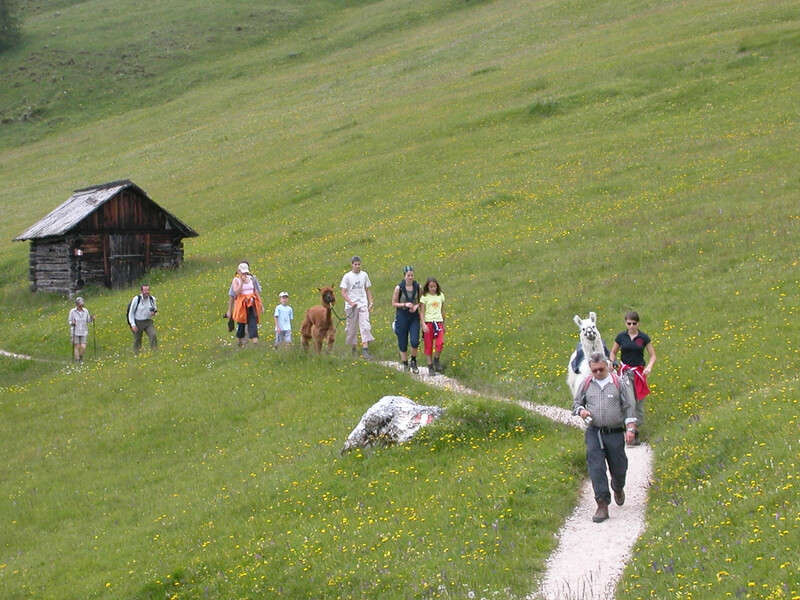 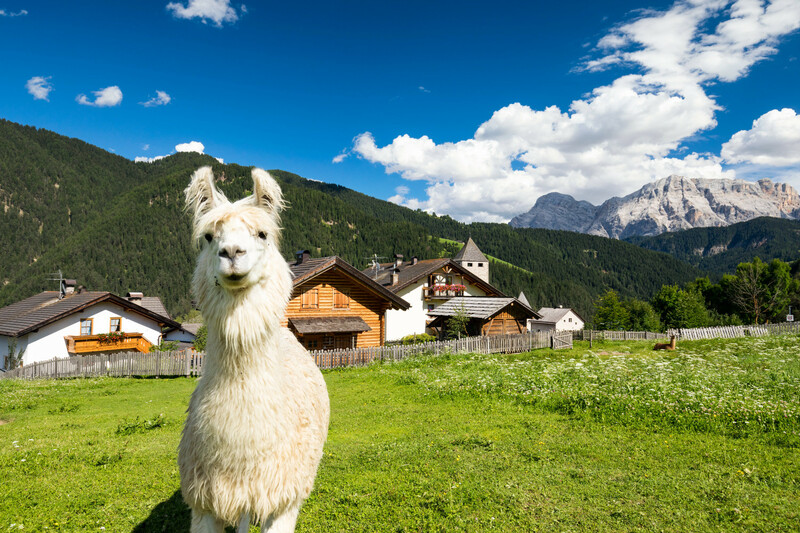 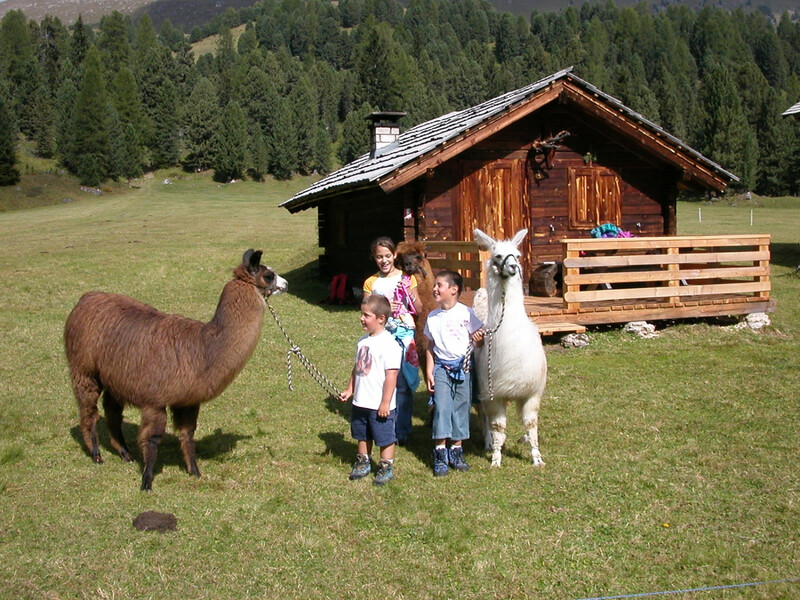 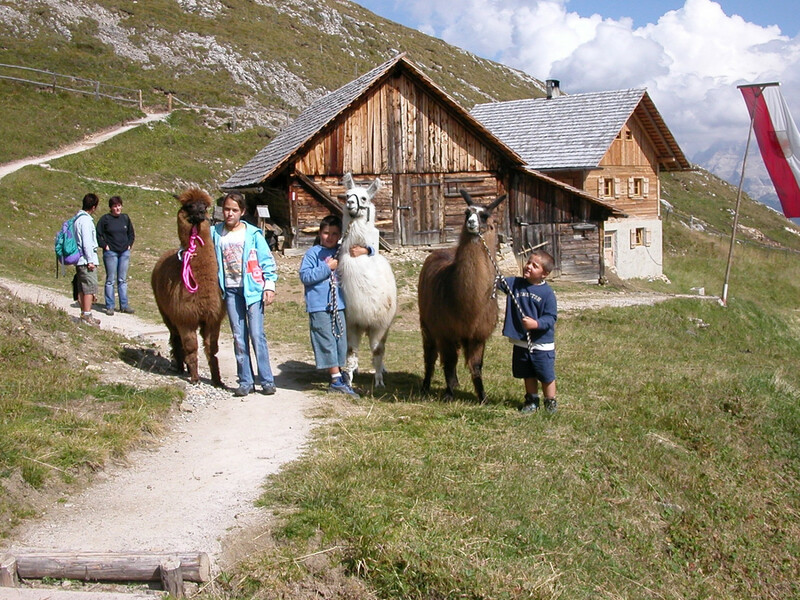 If you are looking for an unforgettable adventure, take them for a walk in the Dolomites, along the panoramic trails that wind among mountain farms and pastures. 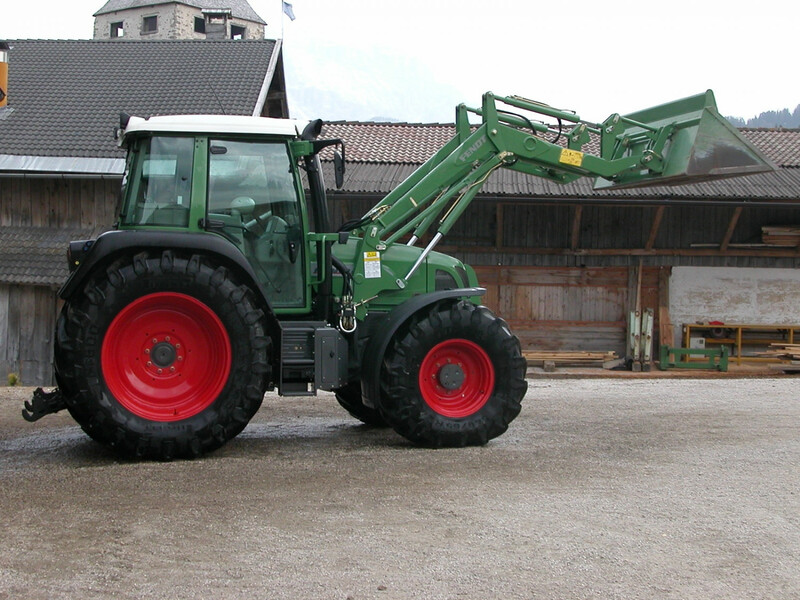 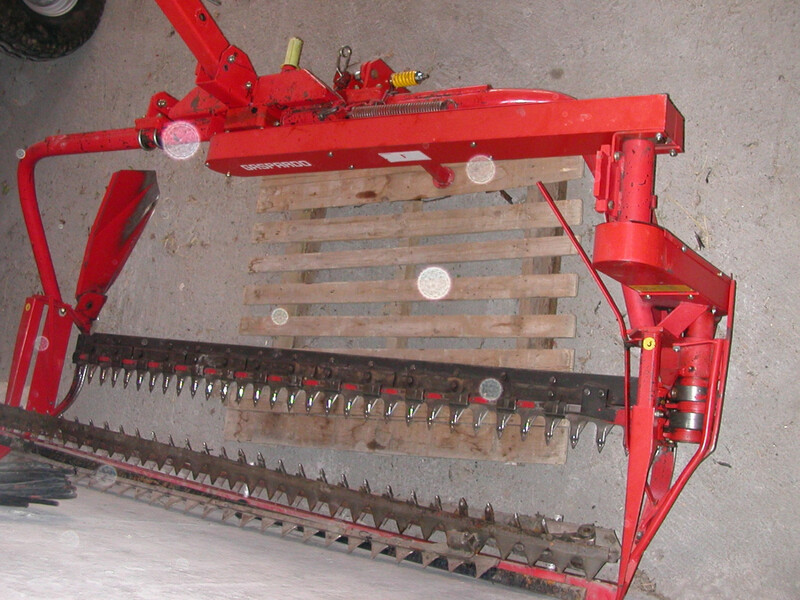 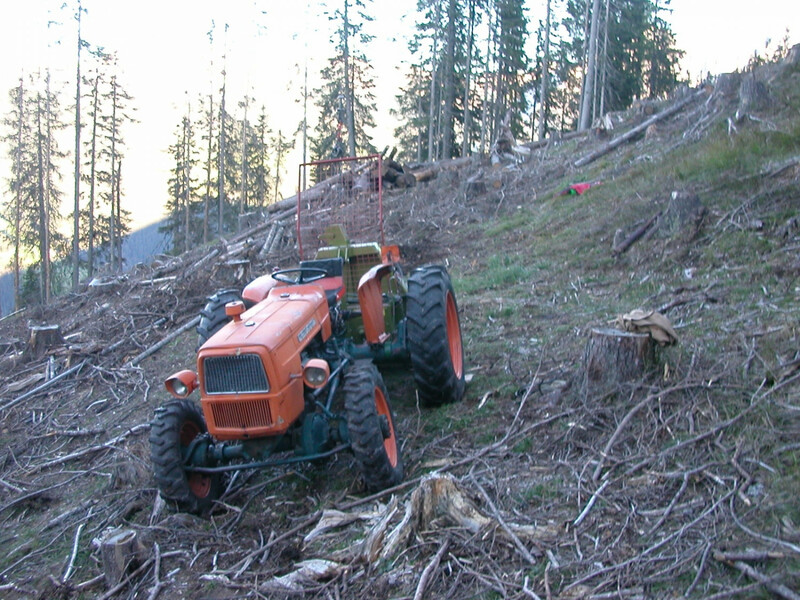 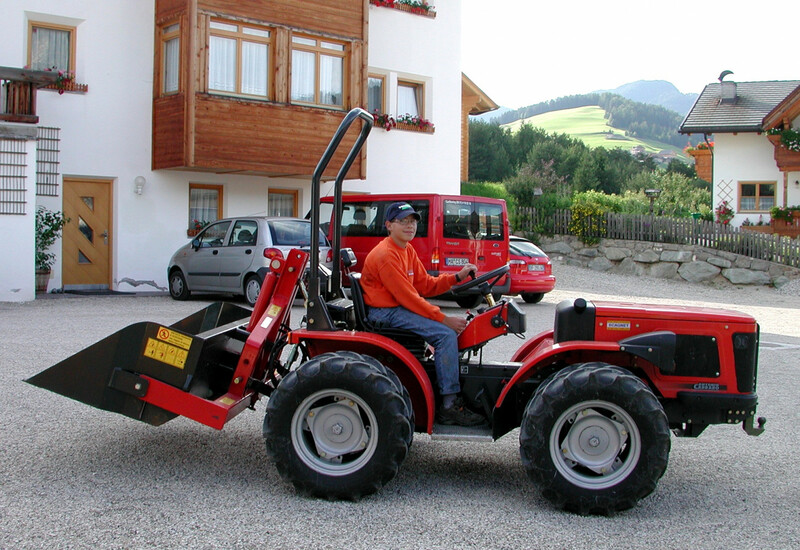 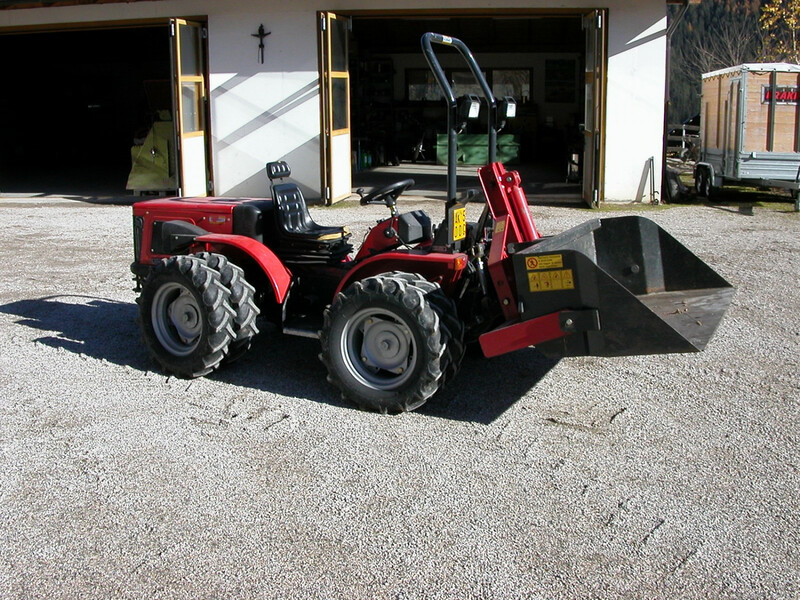 Our farm machinery is composed of various agricultural and forestry machines, essential for performing numerous farm tasks.